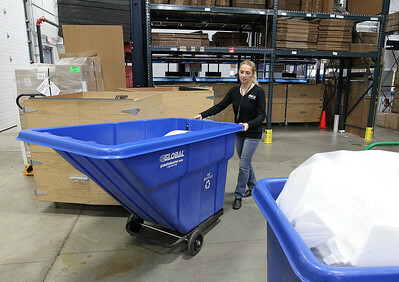 H. Rick Bamman - hbamman@shawmedia.com Other World Computing warehouse manager Mirjana Madzarac sets a recycling bin on the production floor of the Woodstock facility. 96.5 percent of the tech company's waste materials are recycled in some manner. H. Rick Bamman - hbamman@shawmedia.com The Other World Computing parking lot decrative pavers are part of the bio-aquifer storm system that filters stormwater and helps minimize damage to our surrounding landscape. 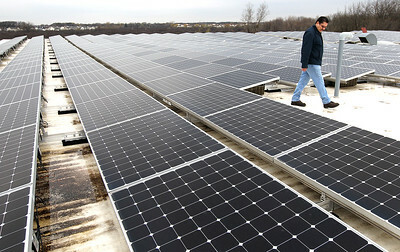 H. Rick Bamman - hbamman@shawmedia.com Other World Computing mantainance supervisor Juan Valdez walks among one of the largest privately-owned solar arrays in Illinois on the roof of the Woodstock company. H. Rick Bamman - hbamman@shawmedia.com Other World Computing shipper Michael Gunnison uses right size packaging to prepare orders at the tech company's facility in Woodstock. 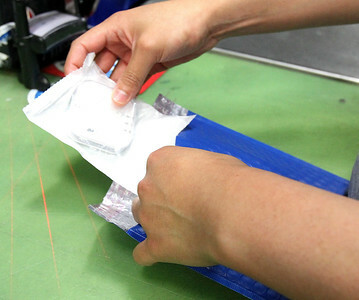 H. Rick Bamman - hbamman@shawmedia.com Other World Computing shipper Jose Diaz uses "right size packaging" to prepare an order in the Woodstock facility. The tech company received LEED® Platinum Certification from the Green Building Institute in 2010, and in 2015, achieved the goal of generating more power than they consume, with the excess power flowing back out to the local power grid. 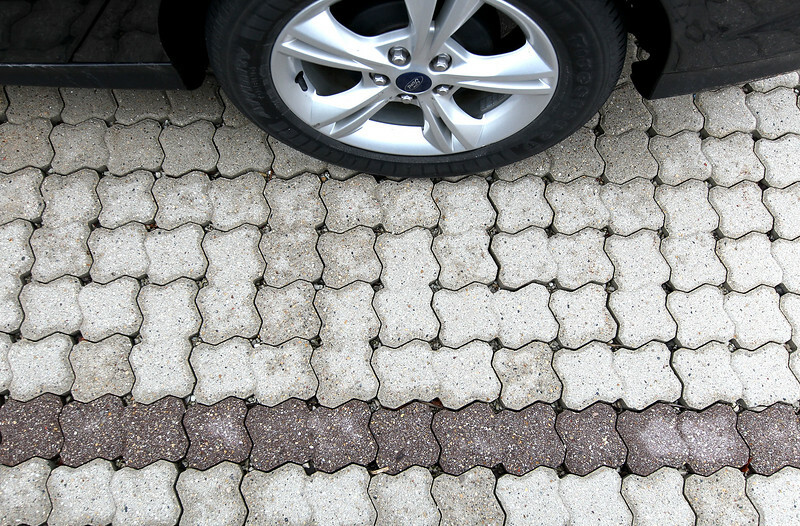 The Other World Computing parking lot decrative pavers are part of the bio-aquifer storm system that filters stormwater and helps minimize damage to our surrounding landscape.